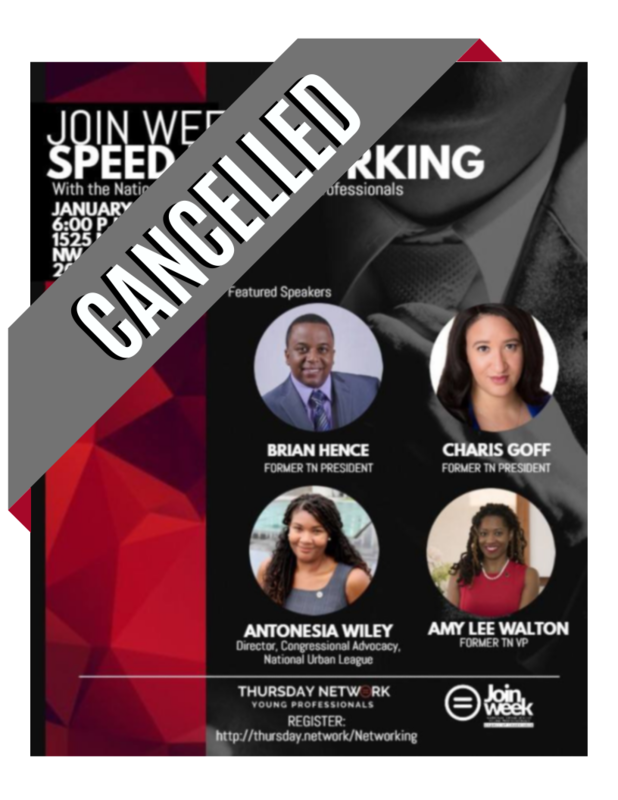 ***"Due to inclement weather conditions we unfortunately have to cancel tonight's Speed Networking event. We apologize for the inconvenience. Check back for more updates on ThursdayNetwork.org/JoinWeek19." Join us for a fun evening of making connections with veteran National Urban League Young Professional members. Learn how the Urban League experience has impacted members, expand your network of contacts, and seek advice about professional growth. Participants will interact in rotating groups with NULYP members from a wide range of career backgrounds.